What Types Of Compensation Can I Get? For tenants in rent-controlled units, landlords are looking for ever-creative ways of getting around rent control. One tactic being implemented by aggressive landlords is filing a declaratory relief lawsuit against the tenants. A declaratory relief action is different than most lawsuits in that it is not seeking monetary damages. 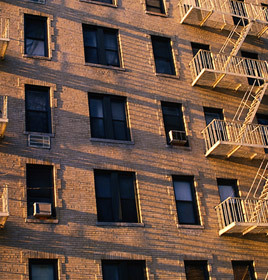 Rather, landlords are generally asking the court to rule that rent control should be lifted. One common example is where the landlord alleges that the original occupant has vacated the property and is sub-leasing the property to others. This may or may not be true but landlords are financially incentivized to allege it, as rent control only applies to the original occupant unless there was a landlord-tenant relationship established with subsequent occupants. State law (Costa-Hawkins) allows landlords to raise the rent to market price when the original occupant moves out. So what should you do when you get served with a lawsuit seeking declaratory relief? First, you should consult an experienced tenant rights attorney as soon as possible. Most reputable attorneys offer free consultations. You want to start reaching out to attorneys sooner rather than later. You usually have 30 days to respond to this type of a lawsuit. An attorney needs time to draft the appropriate responsive pleading, so do not delay in seeking help. Many landlords hope that the tenant does not seek legal help. They want the tenant to be scared, and they want the tenant to just give up and move out. Don’t move out, and don’t engage in any negotiations with the landlord until you have consulted an attorney. If you have questions about your rights as a Bay Area rent-controlled tenant, please do not hesitate to contact an experienced tenant attorney at BV Law today to discuss the details of your legal rights and potential case. Call us at 415.835.6777 to schedule a free initial consultation. Personalized Attention. Proven Attorneys. We Fight For Our Clients. We Evaluate Your Case For Free. Bracamontes & Vlasak, P.C., is a San Francisco litigation practice for plaintiffs. We focus on the rights of individuals and families, whether as injury victims, employees, tenants, consumers or citizens. We fight so that you don't have to. How Do You Prove Medical Malpractice in California? When Can a Nursing Home Be Held Legally Liable for a Fall Injury? © 2019 by Bracamontes & Vlasak, P.C. All Rights Reserved.